- The British Pound is gaining upside momentum above the 1.3400 handle against the US Dollar. - There was a break above two important bearish trend lines at 1.3350 on the hourly chart of the GBP/USD pair. - Recently in the US, the Consumer Price Index for Nov 2017 was released by the US Bureau of Labor Statistics. - The outcome was around the forecast as there was a rise in the CPI by 0.4% (MoM) in Nov 2017. Recently in the US, the Consumer Price Index for Nov 2017 was released by the US Bureau of Labor Statistics. The market was positioned for a rise of 0.4% in the index in Nov 2017 compared with the previous month. The actual result was around the forecast as there was a rise in the CPI by 0.4% (MoM) in Nov 2017. In terms of the yearly change, there was a rise of 2.2%, which was again in line with the forecast. In another release, the Federal Reserve Bank raised interest rates from 1.25% to 1.50%. The market turned green and most pairs made an upside move including GBP/USD. 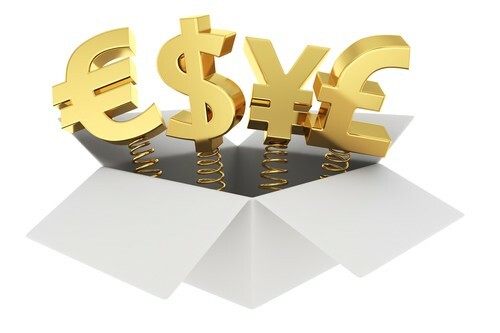 The British Pound formed a good support near the 1.3300–1.3305 levels against the US Dollar, and started an upside move. The GBP/USD pair made good ground and was able to move above the 1.3400 handle and settled above the 100 hourly simple moving average. During the upside move, the pair was able to break the 50% Fib retracement level of the last decline from the 1.3519 high to 1.3302 low. Moreover, there was a break above two important bearish trend lines at 1.3350 on the hourly chart. The pair is now placed well in the bullish zone and is eyeing further gains above 1.3450. At the moment, the 61.8% Fib retracement level of the last decline from the 1.3519 high to 1.3302 low is acting as a resistance. Once there is a break above the 1.3450 level, there can be an upside move towards the 1.3500 level in the near term.